Last night I went for a walk around the mooring. 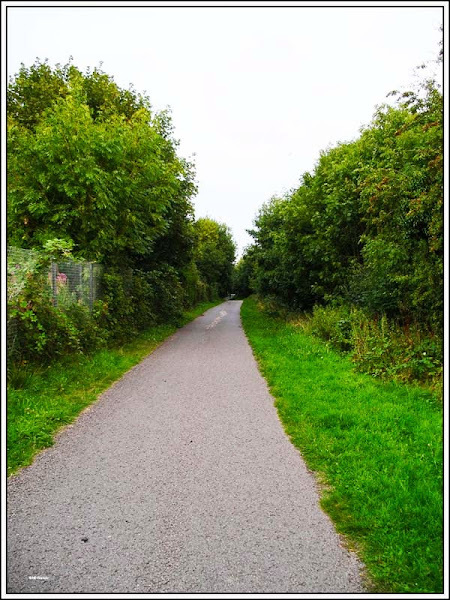 The abandoned railway alignment has been converted into a footpath. The path took me away from the canal and it felt as if I was walking in the countryside with vegetation on both sides. Actually, being a former railway it was also higher than the surrounding ground. After walking for a couple of kilometres I came to Blacon. There must have been a railway station here because the location was laid out as if there was still a platform. It was a circular walk back to Waiouru. 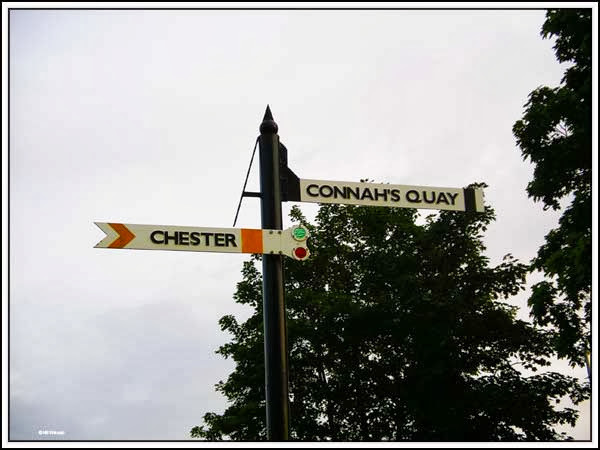 One advantage of the walk, I was able to establish the best canal moorings to access the local retail park are back In Chester, below the staircase locks. Something to remember on the return voyage. The edges of the canal along this section are quite shallow but we managed to scramble on and off without having to use the gangplank. 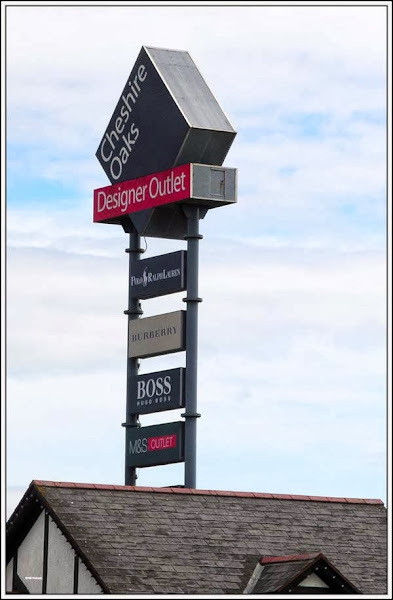 The initial objective today was to cruise to “Cheshire Oaks Designer Outlet”. We found mooring rings just before New Stanney Bridge and walked to Cheshire Oaks. It’s a large circle of single storey shops with a car park in the middle. The majority of the shops are clothing outlets with a couple of kitchen/cooking shops. Jan planned to visit the Marks & Spencers outlet but unfortunately they didn’t have what she wanted. In front of the M&S was a large covered children’s play area. To the right of the play area was an Australian ‘Ugg Boot’ shop. At £130 for a pair of Ugg Boots we decided we weren’t interested. The area was well laid out and obviously very popular as it was quite crowded. 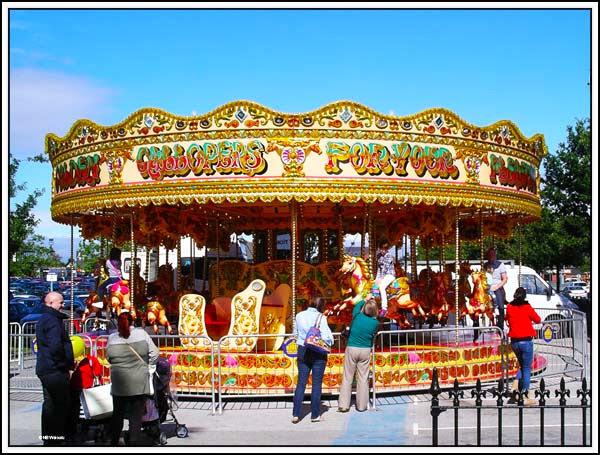 Children are well catered for and in additional to the various playgrounds there were a couple of carousels operating. We’re not big shoppers and returned to Waiouru with only two items, both purchased in Sports Direct. Jan has been hunting for some socks for me and I thought we’d found a bargain when she found five pairs for £5. However she decided to wait and today purchased five pairs for £3. We also purchased a pair of sandals for me to wear on the boat during summer. The plan has always been to buy them at the end of summer and get them at an ‘out of season’ price. I chose a pair with a toe box hoping to avoid stubbing my toes or filling the end of the sandal with gravel or grass. 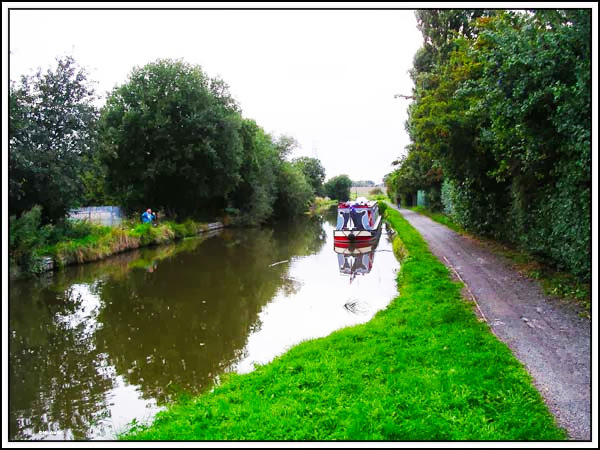 It was just a short cruise to the end of the canal at Ellesmere Port where we winded (turned) Waiouru and moored on the 48 hour moorings. We haven’t seen another boat moving all day and have arrived at the port to find the moorings empty! I must go for another walk tonight and see if there are any visiting boats in the basin. You may find the railway map at http://www.systemed.net/atlas/ helpful. Being drawn by Richard Fairhurst, former editor Waterways World, and the only person whose maps I admit to being better than mine. 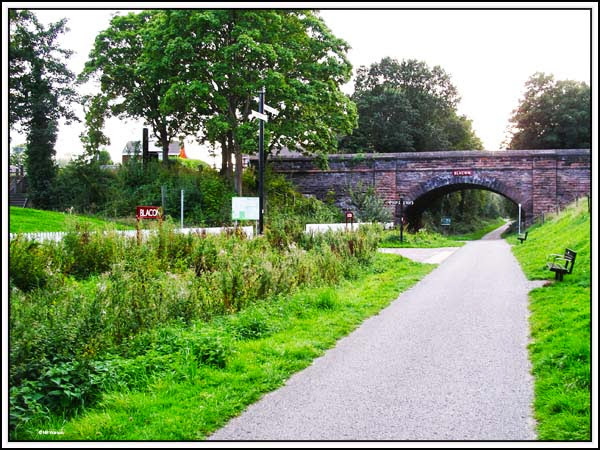 I also admit to remembering a train journey through Blacon - but only just. 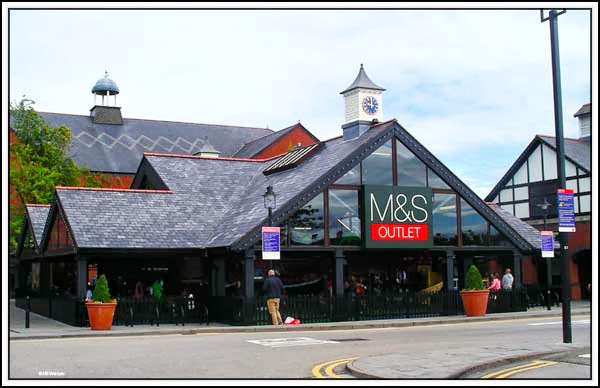 If you walk through the Cheshire Oaks site, there is one of the largest M&S stores in the country, which may have what you are looking for. trying to work out the relevance of the headline? The headline is based on the Australian expression "Nigel No Friend". Which means you're all on your own!